Three Kings Day, also known as the Feast of the Epiphany, involves some amazing food. For many Christians, the holiday season isn’t officially over until January 6th, which marks the end of the 12 Days of Christmas. For millions of people in Spain and many Latin American countries, January 6 is more important than December 25. It’s the day when the three wise men came bearing gifts for baby Jesus. The festivities come in different shapes and sizes around the world with religious services, parades and of course delicious food. 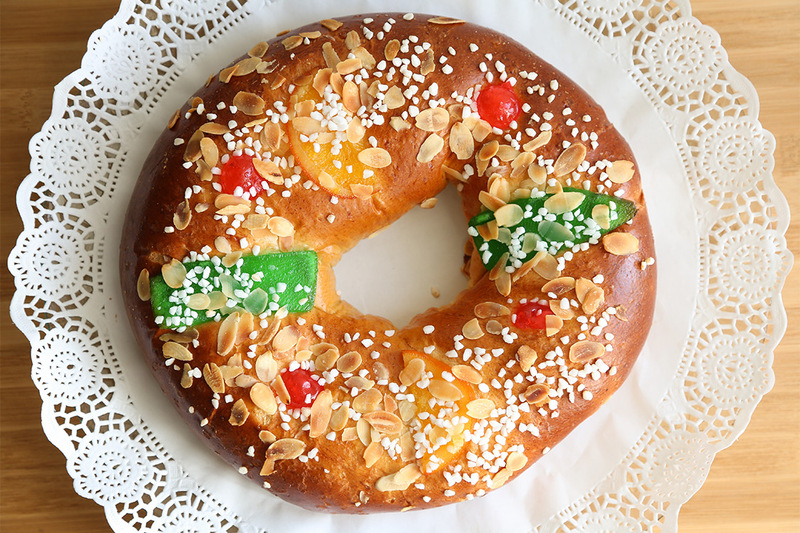 To help celebrate this special occasion with family and friends, Chef Ema Quevedo shares with us her recipe for the most traditional and iconic Three Kings Day treat: Rosca de Reyes, or Three Kings Cake. 1/4 cup PLUS 1 tbsp. Combine yeast with warm water in medium bowl and set aside until foamy, about 5 minutes. Whisk in 1/3 cup melted Country Crock® Buttery Sticks, milk and 2 whole eggs; set aside. Meanwhile, combine remaining 1/3 cup melted Country Crock® Buttery Sticks with confectioners sugar in medium bowl until creamy. Stir in remaining 3/4 cup flour and egg yolk until smooth. Cover and chill until ready to use. Knead dough on floured surface a few times. Roll dough into log, then form large circle on greased baking sheet. Brush ends with water to seal. Cover with plastic wrap sprayed with no-stick cooking spray and let rise in warm place until doubled, about 45 minutes. Arrange rack in lower third of oven. Preheat oven to 325°. Beat remaining whole egg with 1 tablespoon water. Brush dough with egg wash. Form strips with chilled confectioners sugar dough and arrange along with dried fruit and candied cherries into dough to decorate, then sprinkle with remaining 1 tablespoon granulated sugar. Bake 35 minutes or until bread is golden brown.